Content Reliability Statement: All written and oral content regarding the Committee to Support the International Tribunal for Natural Justice, including but not limited to all statements and activities relating to the ITNJ Committee, will be posted on this official website which will also provide links to its official social media outlets. 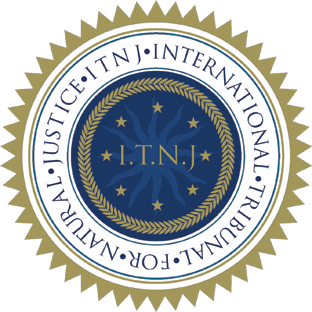 Any information posted on any other websites originating from any source other than the ITNJ Committee are to be deemed unreliable unless and until confirmed by visiting this website and/or contacting the administrators. Disclaimer: This site is for educational purposes only and in no way is to be construed as legal or lawful advice. Click here for full disclaimer.